Without a doubt, there is something cool about playing cards. And one game in particular that stands out is Blackjack. Because it is the most widely played card game in the world. And in this article, we are going to teach you how to play Blackjack. You are going to be able to impress your friends with your knowledge of the game and more importantly knowing how to win! From its history to how to play, from tactics to terminology. This article is the ultimate resource on how to play blackjack and the only guide you will ever need. Blackjack is a card game that is also known as 21. The aim of the game is to defeat the dealer and not to defeat other players. It is played with one or several card decks and can be usually be played between 2 and seven players. The whole point of the game is to reach 21 points without going over, the one who gets the closest wins. There is no doubt that when it comes to gambling the house always tends to win. But some games stand you with more of a chance of winning than others. Blackjack grew to such levels of play because it is simple, fun and the chances of you winning are quite high. As we will learn later, it is you versus the dealer and the dealer simply deals the cards. Yes, that is right, the dealer has the same choices as you making it a game where your hand combined with your decisions can allow you to defeat the dealer. 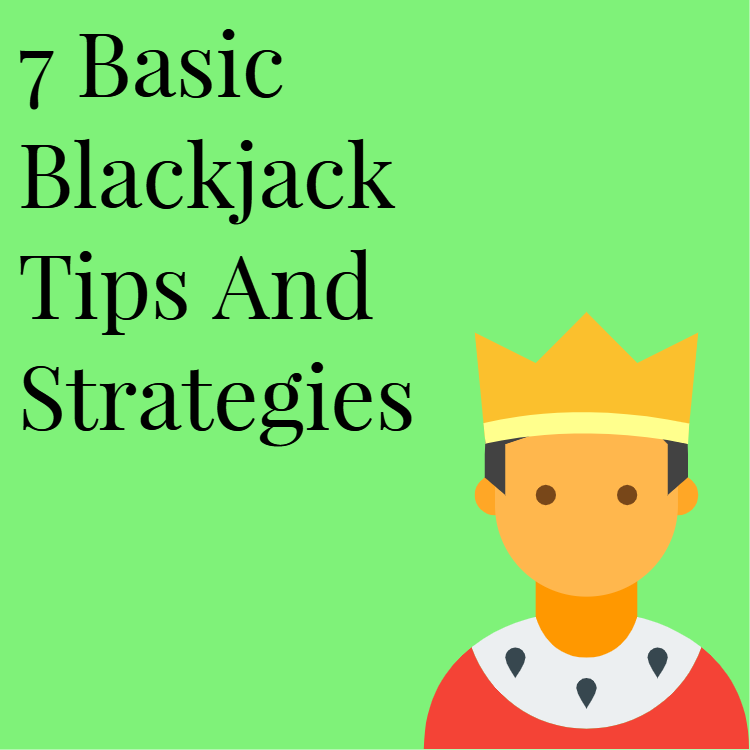 And while there are amazing blackjack players across the world, as long as you read this guide and make sensible betting decisions you are just as likely to win as any ‘blackjack expert’. And unlike games such as Poker, it does not matter what your ‘face’ looks like as you are not trying to deceive anyone as to what your hand is. Where Did Blackjack Come From? The origins of Blackjack are not clear. There are early references to a game called 21 in a book by author Miguel de Cervantes however it is still not known how the game was created. In modern times the game, however, has enjoyed being the subject of several feature films that have helped to explode the popularity. Most notably of these are the films 21 which features Jim Strugess and Kevin Spacey and of course Rainman starring Tom Cruise and Dustin Hoffman. 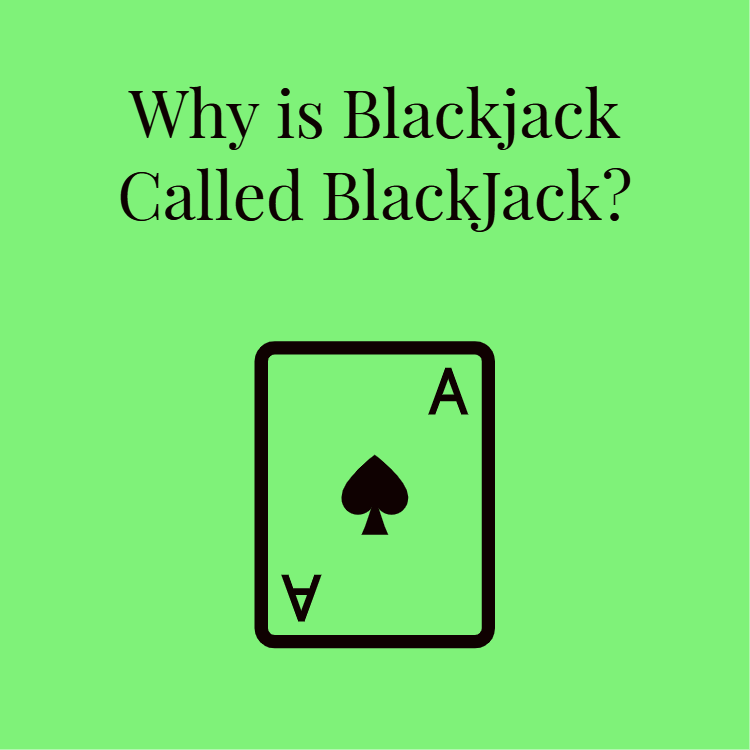 Why is Blackjack Called BlackJack? The reason blackjack got its name (originally it was known as 21) is thanks to the American gambling industry. When Blackjack came to the United States they needed a way to encourage more people to play. To achieve this they came up with a bonus that paid out at 10 -1. To get this bonus you needed to have an Ace of spades and a black Jack. It could be either the Jack of clubs or the Jack of spades. Either would be a win and the bonus would be paid out. And so the hand was called ‘Blackjack’ and the name caught on. Soon enough people referred to the game as just Blackjack. If you are sitting comfortably we will begin to explain the rules of blackjack and what you need to do to win along with core terminology. As stated the aim of Blackjack is to defeat the house (the dealer). This is usually the first mistake people make as they believe they are there to defeat the other players. The basic rule of blackjack is to try and reach the value of 21 with your cards. And you should not exceed the value of 21. If you do then you are bust and out of the game. What Are The Card Values In Blackjack? If you are going to play Blackjack it is important that you know the values of the cards. Kings, Queens, and Jacks are known as ‘face cards and each face card is worth the value of 10 points. Numbered cards retain their face value so they can be anything from 2 to 10 points. Aces can be either 1 or 11 points depending on how it advantages the player. So for example, if you have a King of hearts and a 9 of spades you would be bust if you chose to make your Ace an 11. Ok so we are at the table (or online) and we are about to play. The dealer will give you, himself and the other players 2 cards. Depending on the rules or country your dealer is playing to, he will either deal himself one card or two but the one card (or one of the two) will be face up so you can see the value. Your cards will be dealt with your face down. When you look at the card your first job is to look at the values of the cards and perform a small bit of maths to add them together. Once you have done this you have 2 basic decisions to make. You will either hit or stand. What Does Hit or Stand Mean In Blackjack? 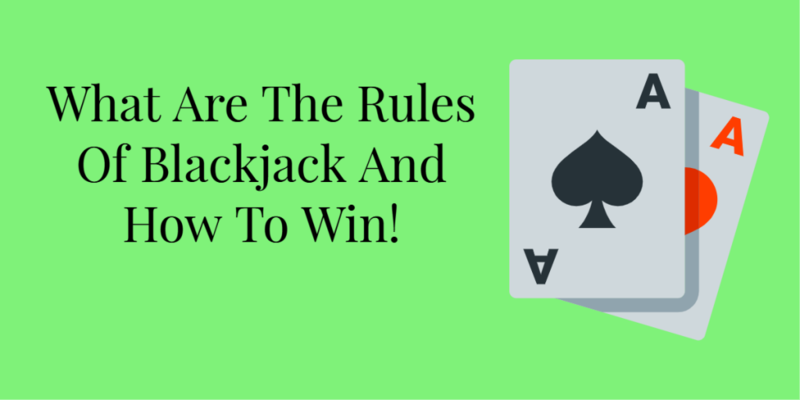 The terms hit or stand are the 2 most basic choices in Blackjack for you to use. Hit means that you want your dealer to give you another card. Stand means you don’t and you are happy with your hand and to take any more cards is too greater a risk. So when would you use this? This gives your cards the value of 18. So, remember that the aim of the game is to reach 21 without going bust, you can either hit to gain another card or stand to see if your cards are the highest. Well, we have no idea as to what other players have or the dealer has so to reach 21 you need a card with the value of 3. Alternatively, you could gain a 2 or an ace and go closer to 21 without going bust. So the decision to hit is not an easy one for this game. If you gain anything other than those cards you go bust and are out of the round. The rules state you can continue hitting until you are satisfied with your hand or go bust. What Is A Double Down In Blackjack? 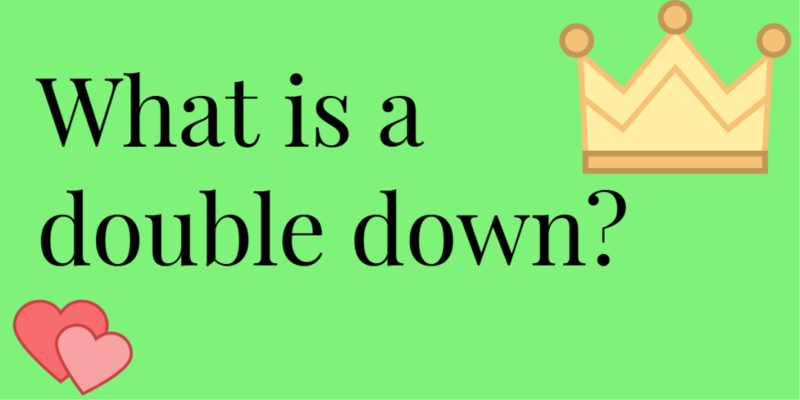 Doubling down is the name described to the conditions that allow a player to increase their bet. This can only happen after the player receives their first two cards. If you choose to double down you can ask to double the bet of your original wager. However, you cannot ask for any more cards after your third one. You must stand after your next card. What Is a Split In BlackJack? A split is a part of Blackjack that occurs when your first two cards are the same 2 types of cards, twins if you like. The 2 of spades and the 2 of hearts. If you get ‘twin cards’ you can and your cards will be separated and you will then be given two new cards. At this time you can bet on each hand. And of course, you will receive a new second card for each new hand. Although rules of each house can differ, most will not allow you to hot, split or double down on a split. So once you have your second card for each split you have to stand. What Is A Surrender In Blackjack? The next aspect of the game we need to talk about is called a surrender. This happens when the dealers face up card is either an ace or a ten value. If this happens the player can offer to surrender. The round then ends and the players can continue a new round. We will discuss tactics later in the article as to why you might do this. What Is Insurance In Blackjack? You are sat down playing Blackjack table and the dealer deals himself his face up card and it is an Ace. If that happens you can take insurance just in case they get ‘blackjack’. The insurance is half of the original bet and pays out at 2:1. The term push is used to describe a draw/ tie-in Blackjack. What happens is that you score the same value with your cards as the dealer and in this case, no money changes hands. In blackjack, there are two types of hands a hard hand a soft hand. Please note this is not the hands you use to hold the cards but when your cards are dealt to you this is called a hand. A hard hand is when your cards are dealt they do not contain an Ace. Or if it does that Ace is counted as 1. Any hand that contains an Ace that is valued at 11 is considered a soft hand. What Happens When You Win At Blackjack? So, you have won. What do you get? Generally speaking, if you defeat the dealer in a game of Blackjack you will be paid out in what’s called a 1:1. That means that what you bet you get. So if you put down 20 you would be paid 20 by the dealer and of course, keep your original 20. OK, so there is the basics. When playing in a casino the dealer usually has to draw cards until they reach 16 and must always stick at 17. This gives you a clear advantage in knowing this. The other thing that you must know is that you go first and the dealer goes last. As a result, you need to be careful about asking for a hit. So if you have 17 or better the chances are that standing is going to be your best option. You are at the table and the dealer deals a 2 or a 6. If this happens they are in a weak position. If you think about the rules of blackjack they need to deal until 16 and stand at 17. So if they deal a 6 or a 2 they need to keep dealing to reach their goal. Remember that your job is to beat the dealer and not the other plays. So if they deal a 2 or 6 they have a hard job to reach 16 or 17 without going bust. This is a broad strategy that is really useful for winning. You see your role is to stay in the game for as long as you can without going bust. If you go bust the house keeps your money. If you win you get paid out. Again you are not playing against the other players but against the house. All you have to do is beat the dealer and not go bust. Very often people are drawn into the ‘trying to reach 21’ mentality and this forces people to go for a ‘hit’ when they actually have a good hand. This is a simple enough tip but one people miss. Blackjack is essentially a game where you have to count the values of your cards. If you are drunk you are going to struggle to count, make mistakes, think your hand is higher or lower than it is and are more likely to bet more than you should. This is something that new players forget. Once you have won or lost the next hand is new. Therefore there is no ‘pot to win’ and the table has in it what you place onto it. Therefore if you bet high in blackjack and lose all your money early on, you will find it very hard to win this amount back. If you have been to a casino then you will see just how often players tip the dealer (not an issue if you play online). Tipping the dealer does not give you any advantage at all. Tip if you want to tip. Tip if you feel it is deserved but don’t tip because you think it will help you. It is easy to be intimidated at a casino. Especially if you are at the table with experienced players, poor losers or people who have had a lot to drink. They will tell you to make a move, shout, try and hurry you up and offer advice that is probably useless. You are at the Casino to have fun and hopefully win some money. 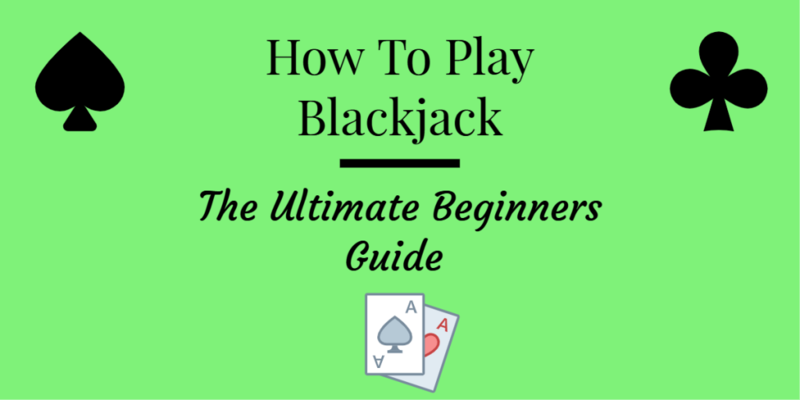 So there you have it, our complete guide to playing blackjack. Blackjack is a game that is both entertaining and can be rewarding if played responsibly. The online game is often more convenient, faster and of course just as fun. 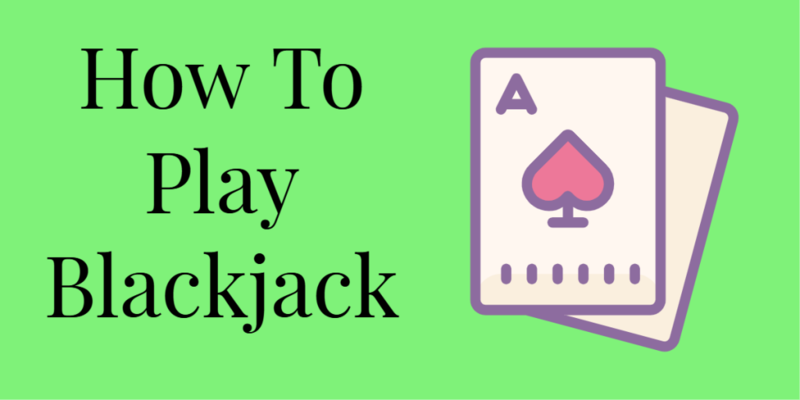 So if you are new to Blackjack, starting with online blackjack might be the best route for you. Either way, with our guide you now know how to get started on your Blackjack journey.